I was enjoying a lazy Sunday morning with the family when I felt that our mostly dark coloured wood furniture could do with some highlights. So a bit of quick googling and I found that I could change the colour of the drawer-pulls of all the furniture to a light colour and that would give the rooms a different look. To give context, the colour palette of our living room is mostly dark brown (almost black) coloured wood (for the tables), white upholstery on the sofa and cream and gold accent pieces (like lamp-shades, dinner table top, chandelier). I decided to change the colour of the drawer-pulls to antique gold to match the colour palette. 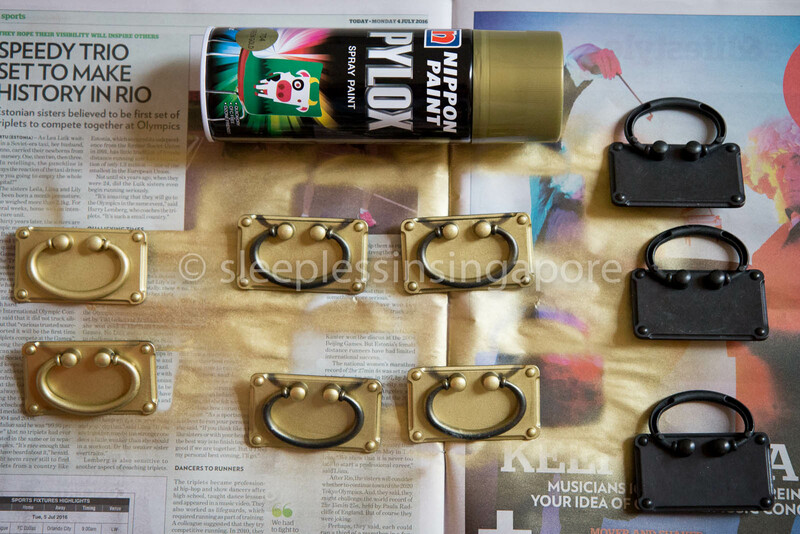 We got the cheapest gold coloured spray paint can from the neighbourhood DIY store and tried it on one of the drawer-pulls. My husband and I weren’t particularly happy with the result since it looked more rose-gold than antique gold. So we had to get another can of spray paint – “green gold” colour this time and the results were satisfactory. 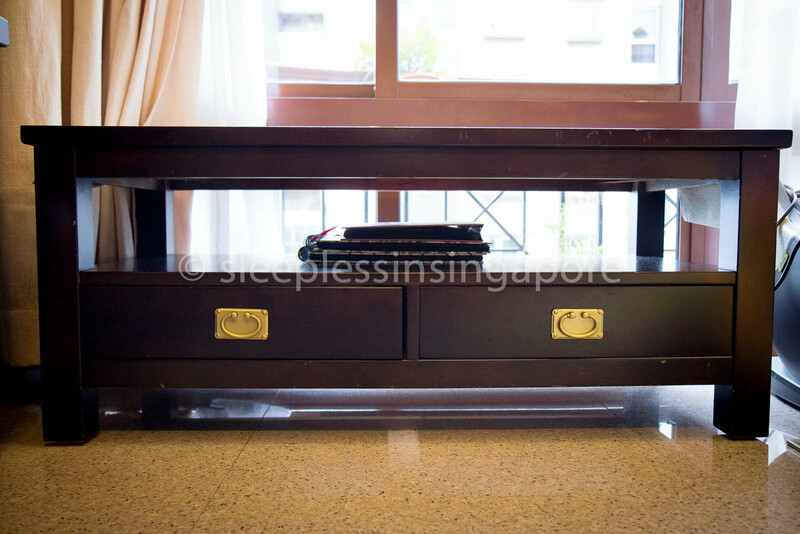 We proceeded to spray every drawer-pull in the living room after cleaning the metal pull-outs with a thick cloth. 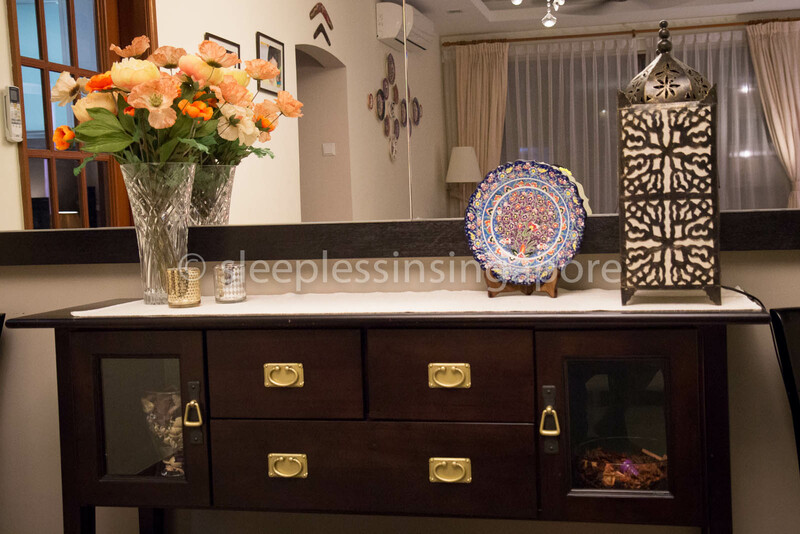 We now have a different look to the furniture that adds to the warmth of our home. We had started doing the spraying indoors but the fumes were too strong so we swiftly brought the operation outside the house into open air. While the can recommends 24 hours of drying time I was too excited to get these pulls back on the drawer the same day and write this blog post – so I put these on as soon as the surface felt dry to the touch which was about couple of hours outside. Thank god it wasn’t raining otherwise it would have taken longer. It’s amazing how a little bit of effort can transform the look of your already beautiful home.After managing two little monkeys ,that you still have the energy to do all these is simply brilliant.Taking up these hobbies not only energizes you up but also gives you a deep sense of satisfaction.I am so proud of you.Keep up the good effort. It’s so amazing how easy it is to give your furniture a easy makeover! Yes and it feels great when such impromptu diy-s turn out good! Thank you for liking the post.